You can then select a directory that will be periodically scanned by PlantUML. 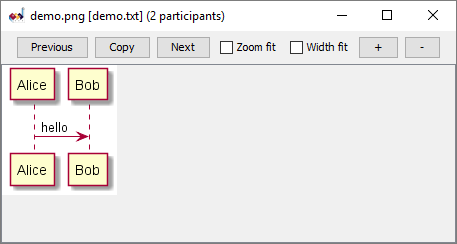 The following window lists all images that are generated by PlantUML. If any modification is done in the directory, the window will be updated. 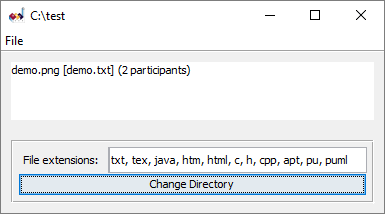 You can iconify the window while you are creating or changing files into the chosen directory. You can also double-click on an image title to have a look at it. If the source file of the diagram is modified, the image will be automatically updated.